On the night of Aug 12 to Aug 13,1944, in the vicinity of Szyldow, a Feldwebel, belonging to 1st Company of the 501st sPzAbt., was captured together with a private, belonging to the 10th Cpy. of 79th Pz.Gren.Reg. of the 16th Pz.Div. The sergeant-major stated that 501st sPzAbt. had been unloaded at the Konsupol rail station. 501st sPzAbt. consisted of three tank regiments and supply companies. The battalion arrived in the composition of 40 tanks, 20 of them are of the type "Panther" and 20 of type "T-IV". In Khmilnyk arrived only 30 tanks, the rest had broken down on the march (!) and required repairs. Of course, he didn't know (or didn't admit to knowing) the difference between the similar looking Panther and Tiger II tanks. 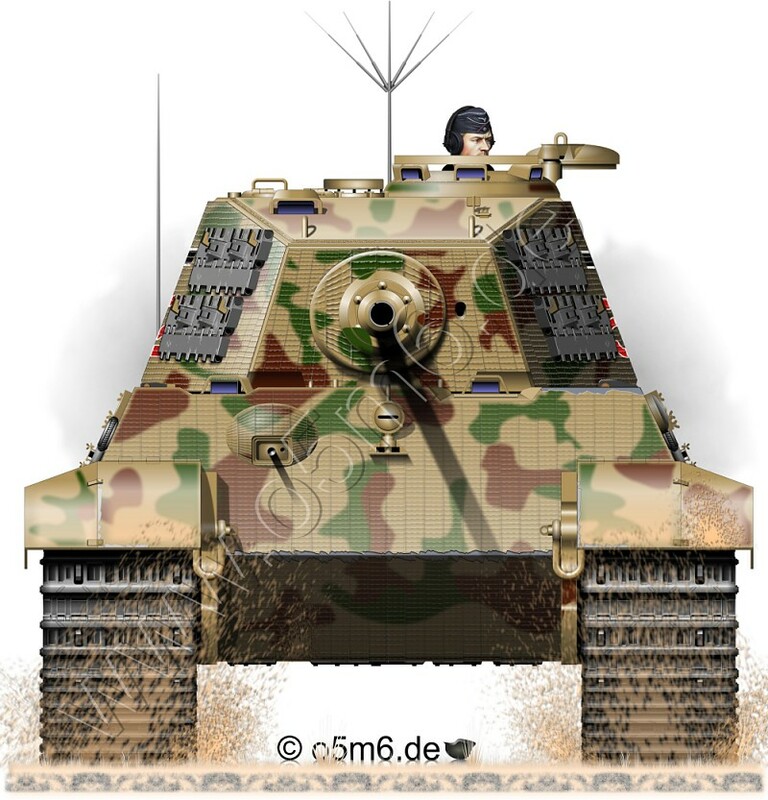 Indeed, the difference is much less than between a Tiger and Tiger II. 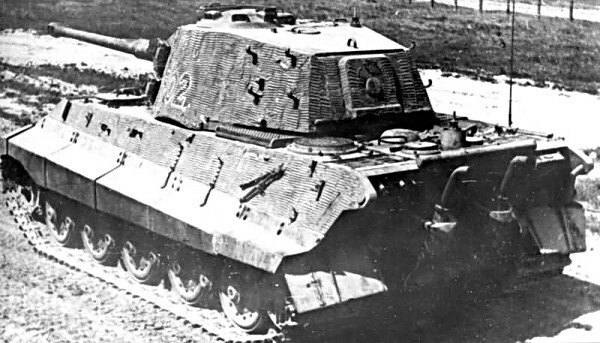 Even the Soviet report on tests of the captured vehicle describes it as "a modernization of the Panther tank". 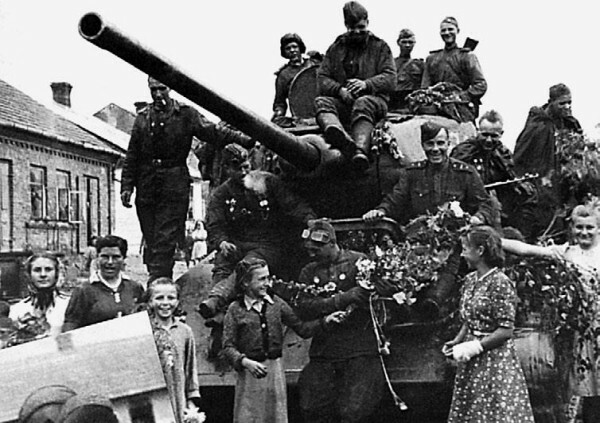 On the night before the battle, August 11th, 1944, a T-34-85 of the 53rd Guards Tank Brigade of the 6th Guards Tank Corps of the 3rd Guards Tank Army, commanded by Guards Junior Lieutenant Oskin, and another T-34-85, commanded by Guards Captain Ivushkin, accompanied by infantry tank riders, approached the village of Ogledow. 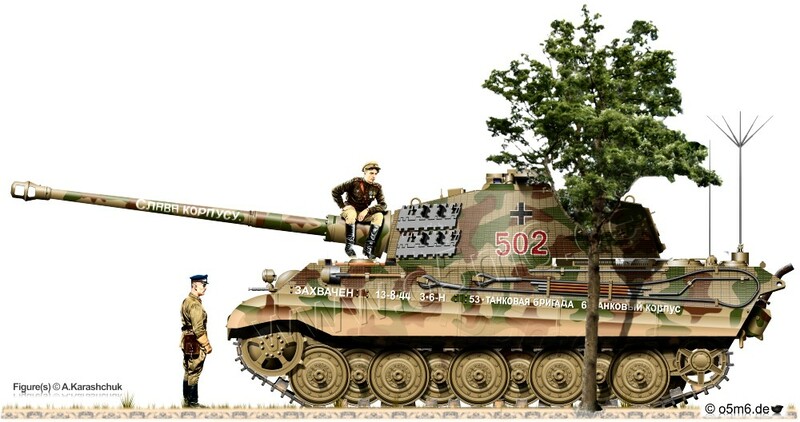 Since several Panther tanks have been immobilized and subsequently destroyed in the sandy terrain around the cluster of villages, the Germans were expected to move through the more reliable terrain. Ivushkin's tanks set up in a field. At first, Oskin's crew simply covered the tank in hay. The result was a massive 3 meter tall haystack, with a 5 meter long gun barrel sticking out. Since it was quite suspicious compared to other haystacks in the field, barely a meter tall, the rest of the night was spent consolidating the smaller haystacks into more tank-like ones. The morning of August 13th was very foggy, concealing the Soviet ambush. At 7:00 am, on August 13th, Ivushkin reported hearing a number of tanks approaching. These were eleven of the brand new Tiger II tanks. The new Tigers were accompanied by several APCs with infantry. 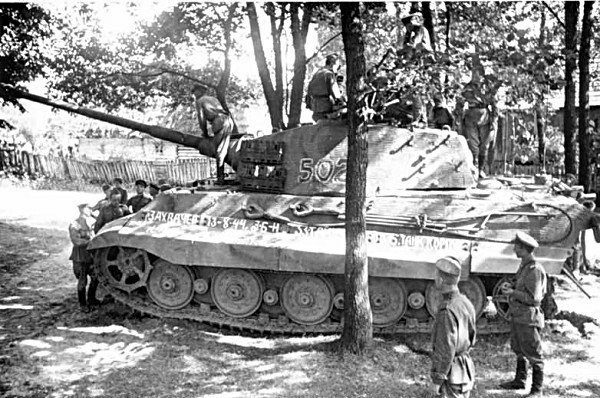 The tanks became visible to the 53rd's Guards Tank Brigade. "A monstrous tank emerged from the valley. It moved in bursts, losing traction in the sand", Major Korobov radioed in from the left flank: "They're coming." I replied "Don't be hasty! Open fire from 400 meters." Another tank emerged, and then a third. They were very much spaced out, by the time the third tank emerged, the first already passed Ivushkin's ambush. "Fire? ", he inquired. "Fire! ", I replied. 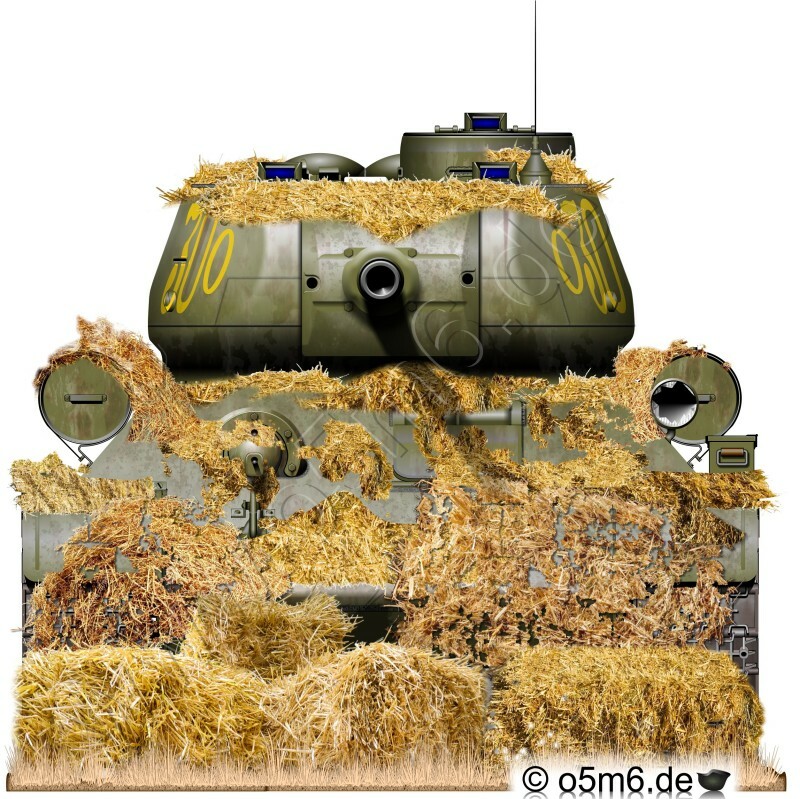 I saw the haystack that Oskin's tank was camouflaged as move. His gun barrel emerged. It twitched, again and again. Oskin opened fire. I saw how black holes appeared in the sides of enemy tanks, one after another. The third rotated his front to face Oskin, but his track was knocked off, he could not complete his maneuver, and was finished off. I sent a radio signal, "307 - 305", to all units. Thirty guns fired directly, and the howitzer divisions covered the valley in indirect fire. Ogledow was concealed in a cloud of sand." By the end of the day, the 53rd occupied the south side of Height 247.9, 300 meters eastward of Ogledow. Two tanks from the 3rd Tank Battalion and a company of submachine gunners were sent into the village, and cleared it of the enemy by 8:00 am. Among the houses of the village stood more Tiger IIs that retreated when the attack failed and were abandoned by their crews. Only then did the Soviets realize that they were dealing with new tanks. Oskin initially reported that he knocked out 3 Panthers. "Two hours later, relative silence stood over the battlefield. Scouts reported that there are two undamaged tanks closer to Ogledow. They were stuck in the sand at the turn. On our left flank, we found another one. It drove into a swampy pool and was left there. The crew was in such a hurry to leave, they forgot their documents. Turns out, these new tanks weighed 68 tons..."
However, the battle was not yet over, and there were more new tanks to fight. Infantry advancing in the direction of Zarez was stopped by fire from more Tiger IIs. A platoon of IS-2 tanks led by Senior Lieutenant Klimenkov entered the battle. Klimenkov took out two Tiger IIs, one of which caught fire. The fate of the other is more interesting. 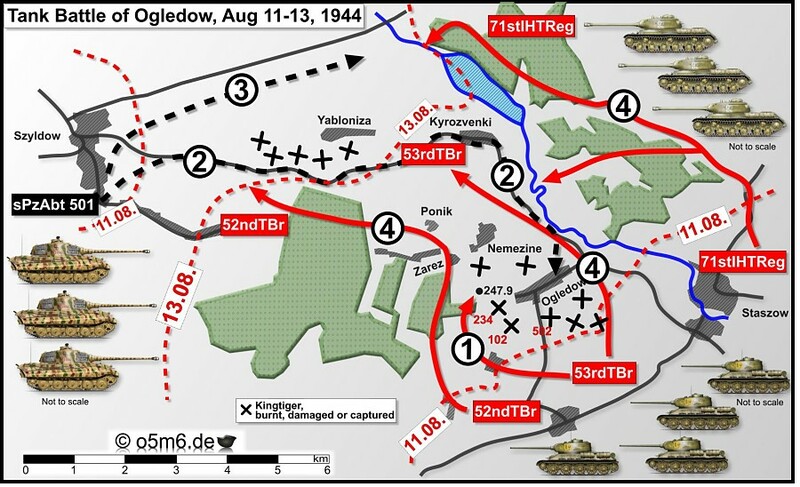 "Before dawn, a tank platoon led by the company commander Klimenkov took his initial position near Ogledow. 2nd Battalion 294th SP attacked Ogledow. 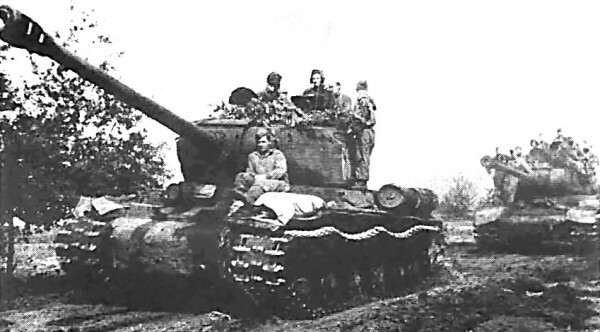 Its progress was halted by enemy tanks, hidden behind a house and some bushes behind the south outskirts of Ogledow. Infantry was stalled, and we sent a report to Klimenkov. Comrade Klimenkov took a high position, and made two shots, destroying the house the tank was hiding behind. The enemy tank retreated, but Klimenkov knocked off a track with the next shot. The enemy left the tank and fled. Our infantry captured the tank turned the turret towards the enemy, and opened fire." Seven Tiger IIs moved in from the direction of Mokre. An IS-2 belonging to Guards Senior Lieutenant Udalov opened fire at 800 meters, destroying two Tiger IIs, one of which also burned. The German tanks retreated, regrouped, and advanced on Ponik. Lieutenant Belyakov's IS-2 was in ambush in that direction. Opening fire at the column from 1000 meters, he set fire to one Tiger II. The rest turned back. 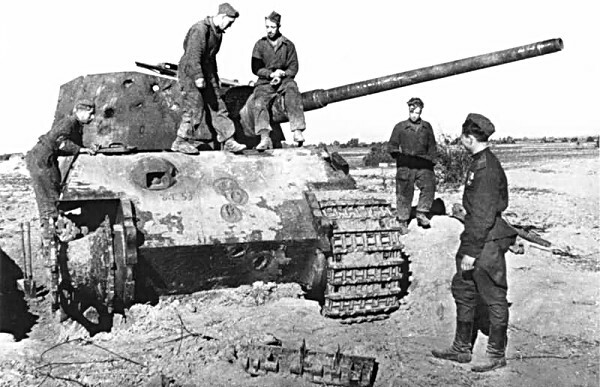 Over the 3 days of fighting, from August 11 to August 13, seven Tiger IIs were irreparably destroyed, and six were captured intact or mostly intact. One was a commander's vehicle (turret number # 502) with maps and instruction manuals for the new tanks. 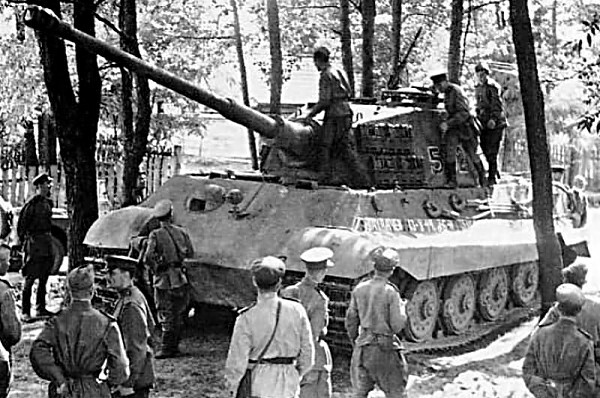 On August 16th, a prisoner from the 501st s.Pz.Abt confirmed that "the battalion was formed with 20 Tiger II tanks and 20 PzIV tanks. Currently, the battalion only possessed 26 tanks." "...it is hard to tell who destroyed which tanks. Two battalions opened fire at once, Mazurin's and Korobov's, as well as two artillery battalions were were assigned (185th howitzer and 1645th light), and two SPG regiments (1893rd and 385th). Ground attack planes worked effectively. Oskin's crew definitely burned 3 tanks and knocked out one. Aleksandr Petrovich [Oskin] himself earned a Hero of the Soviet Union. [His gunner] Abubakir Merhaydarov got an Order of Lenin. All crew members were awarded medals. " The 52nd Guards Tank Brigade also ran into some new Tigers. 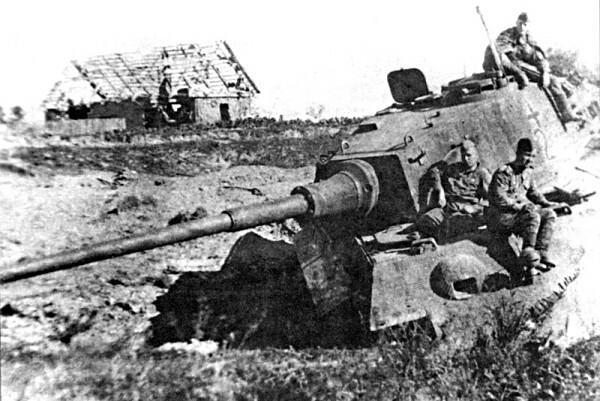 Two T-34-85 tanks were partially buried west of Staszow. "Early in the morning, we saw a "frame" in the sky, a fire correction scout plane. It flew over our sector and disappeared. Shortly after, enemy artillery opened fire. The shells missed and hit behind us, at the forest clearing and the outskirts of the village. "The Tigers and Panthers are coming", [company commander] Tokarev told me, after the artillery stopped. "I'll be in the trench, visibility is better there. Georgiy (Senior Sergeant, tank gunner), watch out." The loaders stared into the distance where the sound of engines was coming from. After several minutes, tanks emerged behind a hill, showing their sides. The Germans did not expect an ambush. "Five, six, seven...twelve...," counted Komarichev. "Twenty! Twenty, with infantry!" "Do not fret, Zhora, we are Guardsmen! Load armour piercing!" Junior Lieutenant Kraynev's tank also spotted the enemy. At five hunded meters, Komarichev and Kraynev opened fire. Komarichev's shot set a King Tiger on fire, Kraynev knocked out another. The fascists tried to break through to the forest clearing. After taking severe losses, the Germans retreated. They did not advance on our defensive lines again." Klimenkov's IS-2 took out two Tiger IIs. Udalov's IS-2 took out three Tiger IIs. Belyakov's IS-2 took out one Tiger II. 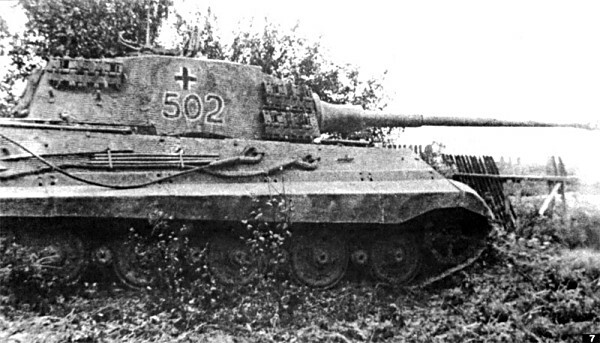 Oskin, supported by artillery, took out three Tiger IIs. A raid by elements of the 53rd GTB captured four Tiger IIs. Captured Kingtiger "Red 502" on display. Inscriptions: "Captured 13-8-44 53 Tank Brigade 6 Tank Korps" and "Glory to the Korps"